Hartley Glass Commercial Emergency Services. Hartley Glass have Glaziers "On Call" 24/7 who will respond promptly to repair your broken glass. Wether it be a window, door or sidelight, shopfront or large glass panels, Hartley Glass have the abilty to respond immediately. For Emergency Service Call 1300 26 00 26. On-Line Enquiries will be replied to by no later than the next business day. Hartley Glass offers a FAST and RELIABLE emergency glass replacement service. Many broken glass situations are required to be replaced as soon as possible as they present a danger or security risk. Our 24hour emergency glass service is designed to resolve these situations. Our fleet of 16 vehicles are custom designed to carry a wide range of glass, and are equipped with the necessary tools and equipment to replace your glass immediately. Our factory stocks the largest selection of glass types, so we have your glass type and size usually in stock, minimising the disruption to your business. We have fully qualified glaziers ‘on call’ who are police checked and will respond promptly to repair your broken glass shopfront, windows, doors or glass partitions - at any time of the day or night. Hartley Glass guarantees a fast & reliable service to all Adelaide and outer Adelaide suburbs, 24/7. With over 50 years’ experience, Hartley Glass ensures your glass replacement will be completed in the fastest possible time to minimise any inconvenience to your business. 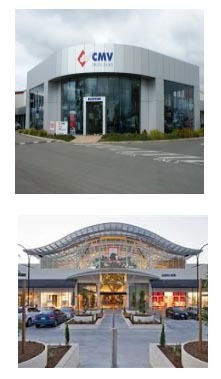 With CM3 certification Hartley Glass is prequalified to work in shopping centres, building sites & industrial locations. Call outs after hours will incur an afterhour’s call out fee. Do you plan to go through your Insurance? We have a specialised insurance service, CLICK HERE for details. Hartley Glass provides a complete Insurance service for your broken glass replacement. Hartley Glass has over 50 years’ experience and is acknowledged as one of the industry leaders in glass replacement services and can lodge claims to all the major insurance companies. Before deciding to make a glass insurance claim it is important to analyse your situation and how a claim will affect your insurance policy in the future. Many insurance policies are designed to discourage small claims by incorporating an excess, which is to be paid by the insured on every claim. The most common excess amounts would be between one hundred and five hundred dollars but some are even as high as one thousand dollars. Obviously if the value of your glass repair is close to the excess amount it would not be advisable to lodge a claim. Besides having to pay your excess some insurance policies will also penalise you by increasing your yearly premium for the following year. *In most instances. Some Insurance companies prefer to reimburse the insured. In this instance you will need to pay the amount in full to Hartley Glass and your insurance company will reimburse you direct. Your Hartley Glass Glazier will let you know if your insurance company will accept direct billing or if you need to seek reimbursement from your insurer. Hartley Glass specialise in the replacement of shopfronts. Whether it be replacing a broken shopfront, or upgrading your shopfront, Hartley Glass has the expertise and experience you require. Their team of 16 Glazing vehicles and 26 Glaziers, combined with their large factory capacity and industry leading machinery, ensures they are fully resourced and have your type of shopfront glass in stock. This results in an extremely fast turnaround for your shopfront replacement or upgrade, resulting in minimal disruption to you and your business. Hartley Glass are CM3 certified, which means they have the prequalification to work in shopping centres and all commercial locations, and have the highest OH&S standards available in the industry. By using Hartley Glass to replace or upgrade your shopfront, you are assured of a fast turnaround and the highest regard to safety for you and your customers. There are various finishes now available that may be beneficial to your business, such as burglar resistant glass, energy efficient glass & anti-graffiti film. Hartley Glass provides a FREE measure & quote service to discuss any of these options with you. Hartley Glass is a leading provider of Insurance Services to reglaze damaged shopfronts. CLICK HERE to find out about our insurance service. Window and Glass replacement can be required in many situations including replacement of broken or scratched glass, changing the style of glass or even to upgrade to safety glass or energy efficient glass. Hartley Glass offers a fast and reliable window & glass replacement service throughout Adelaide for your business. Many window replacements are required as soon as possible because they present a danger or security risk therefore our emergency glass service is required to resolve these situations. Other than replacing broken glass, there are many reasons why you would consider replacing or upgrading your window or door glass, such as safety concerns, security or to improve your energy efficiency. Many commercial properties have old glass that doesn’t comply with the current Australian standards. Replacing low level glass panels and glass doors with safety glass will bring your business in line with the building requirements and protect your employees and customers, and minimise potential litigation. Burglar Resistant Glass acts like safety glass, but has a tougher inner layer that prevents access to your business by intruders who attempt to gain access to your property by using bricks, sledge hammers or axes to break the glass. Hartley Glass specialise in scratch resistant glass. 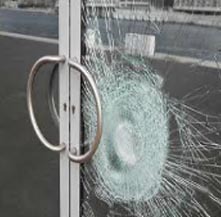 If the windows at your business are prone to vandalism, talk to Hartley Glass about the scratch resistant option that we have available. Energy Efficient Glass is the latest in glass technology and the replacement of your windows or shopfront with this amazing innovation will become an investment that will enhance your bottom line, saving you money! CLICK HERE to find out more about how energy efficient glass can work for you! Hartley Glass offers a FREE measure & Quote service. BOOK an appointment today and explore how the right window selection can improve the value, safety & security of your business. Glass can be a dangerous product therefore all Hartley Glass installations comply with the requirements of Australian Standard AS1288/2006. This standard is regularly updated and requires that glaziers are continuously up skilled and have a fundamental understanding of this building code. At Hartley Glass we pride ourselves on safety and see it as our number one priority for both our staff and you. Our CM3 accreditation is testament to our commitment to safety. This means you can get your new glass installed quickly from as little as 10% upfront and easy fortnightly payments. Approval in as little as 5 minutes. Talk to our team today about Certegy’s NO INTEREST EVER payment plan. We will take care of the application for you so you can get your replacement glass installed as quickly & conveniently as possible!